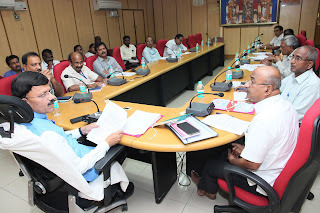 Tirupati, 27 Mar. 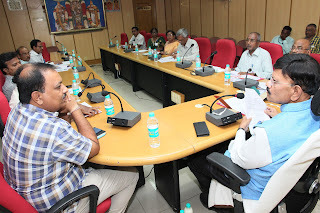 19: TTD Joint Executive Officer in Tirupati Sri B Lakshmi Kantham today reviewed on the Reception wing of TTD in Tirupati at Sri Padmavathi Rest House. He directed the officials concerned on the issues ranging around repairs, security, cleanliness and safety besides urging them to strive for procuring ISO standards for all TTD establishments like rest houses, hospitals and educational institutions. Speaking after visit the JEO said various decisions were taken at a meeting in December last on the above issues and work was taken up and tenders processed for speeding repairs,security and safety measures at Vishnu Nivasam,Madhavam and Srinivasam and others for the benefit of devotees. 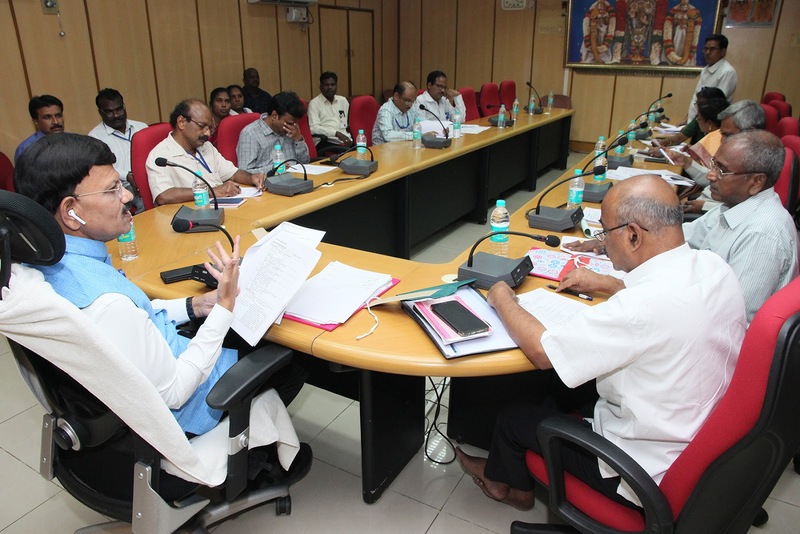 The JEO said all out efforts should be made to beget ISO certification in other buildings like Madhavam, Srinivasam, Ayurveda college and Kalyana Mandapam etc. on the lines of Vishnu Nivasam. Chief Engineer Sri Chandrasekhar Reddy, Addl CVSO Sri Sivakumar Reddy, SE Sri Ramesh Reddy, Transport GM Sri Sesha Reddy, DyEO Smt Lakshmi Sarsamma, Sri Munirathnam Reddy, AEO Smt Geetha, DE Sri Ravishankar Reddy, Addl Health Officer Dr Sunil and other took part.